Having a good CV and a well-pitched cover letter can be that one thing that can land you in your dream job. One funny thing is that landing your dream job doesn’t mean that you will be satisfied doing that job. One thing that brings out the best from many employees even the passionate ones is knowing that you are paid what you are worth. So it is important for you to determine your market value today! No one wants to feel cheated on, we all want to be treated fairly and get the get the right compensation for whatever we do. To avoid feeling cheated on, it is important for you to know what you are worth in the job market. Except you “know your worth” or market value (knowing what your skills and experience are worth) in Nigeria you will stand the risk of being underpaid for your work. 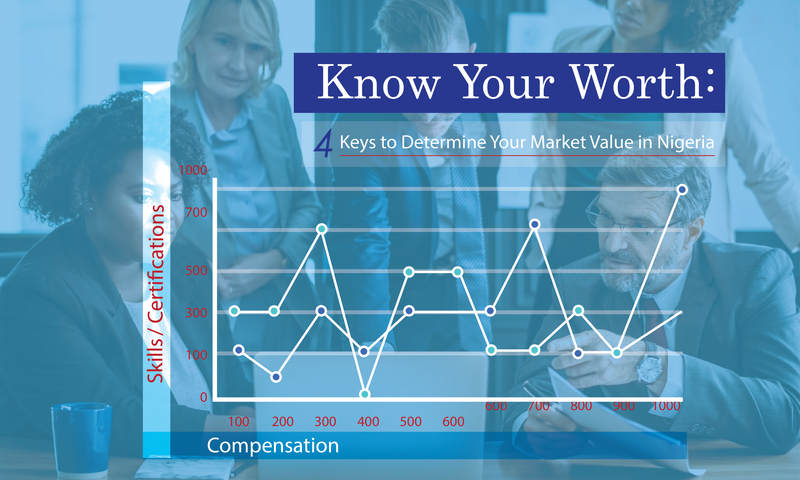 To ensure you have the right skill to match the right compensation, you should find the market value for your job and know your worth with these tips. The first step you need to take to determine your market value in Nigeria is to know your inner worth. Knowing your inner worth is discovering what you are worth within yourself, first of all, evaluating yourself to know your worth. The truth is until you know what you are worth that is when you can even show or prove it to someone else. A good step to take when trying to discover your inner worth is to access yourself regularly to know your areas of strength, weakness and also to take note of your accomplishments over time. This will help you know what you have and ultimately help you discover your real worth. Another great way you can discover your market worth is to research the job market. Researching the job market will help you find out what you are really worth. Researching the market doesn’t mean you should go about from company to company to know what the compensation is like there. Researching online makes research much easier. You can discover your market value by searching online, it is very simple to do. Websites like Mysalaryscale.com makes it even much easier. Using Mysalaryscale.com, you can search your job role or field and you will be amazed to see the average salaries of people performing that same role all over Nigeria. This feature also allows you to know your worth immediately by using the know the “know your worth tool” it makes researching your job market value fast and easy. Online salary research websites can give you all the information you need about salaries and reviews in Nigeria. 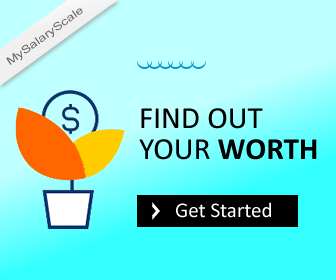 The information you will get from MySalaryScale.com is a great starting point for analyzing and verifying your value and compensation rate. As useful and important as this website may be, it is, however just one data source that can be confirmed by using other sources like government salary range to validate the result you get. When trying to discover your worth and determine your market value, every piece of information you can get at this stage is highly important; because the information you gather will give you a better source of knowledge to make a better decision. When researching the market value and trying to discover your worth, you can network with your friends in other companies especially the “Human Resources professionals” and politely ask them about what they think you are worth, or how much value do they think someone performing your role can add to a company. Some of your friends and connections can even help you with the compensation details of their organizations and how their organizations value people that perform that particular job role. You can also ask professionals in your field about your value and how much compensation they think would match these values. When doing this, it is important for you to reach out to people that know you well, so that they can match your skills properly and determine what kind of compensation best matches it. The more you know your capabilities, the easier it is to determine your worth. You can also look out some helpful information on job boards in Nigeria. Many job descriptions come with salary ranges. Job boards like Myjobmag.com will be a good resource to check for jobs in Lagos and other states with full job descriptions. Doing a frequent personal review of your skills and certifications can help you get the information you need to determine what you are worth. You would not get an accurate report if you don’t do this from time to time even when you search online salary/reviews website. Since we grow and develop our career from time to time, it is equally important for you to keep finding out your worth as you grow. If you have acquired more skills and certifications that are more valuable from the time you joined the company, then finding out your market value from time to time based on the new skills and certifications that you have acquired will give you a more accurate result. You can check the government salary range frequently. The salaries of government workers are public and are even sometimes published to the public. You can take advantage of this salary report to figure out what your should be earning. You can check out salaries of positions that are similar to yours and use that as a yardstick to measure what you should be earning based on your skills and certifications. You can take a look at the Nigeria Labor statistics and take advantage of the information you may find to determine your market worth. Knowing your worth goes a long way to help you stay in an advantaged position in your current job and even gives you that push you need to discover yourself and be open to internal and external amazing opportunities. As much as knowing your worth can help you increase your earning power, it is important for you to know that salary is not all there is to becoming satisfied with your job. There many other things that can motivate you more than money like; Commission, bonuses or profit sharing which could be a good portion of income in many countries.